Expanding the availability of its personal fitness accessory, Nike has today announced that it has partnered with Apple to take the Nike+ FuelBand to all Apple Stores in the US, UK and Canada, which will include its two new colors. 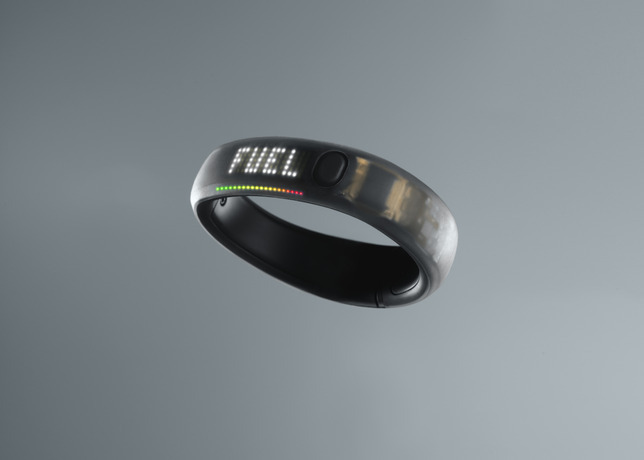 From today, the Nike+ FuelBand will be available in two new colors, “White Ice” and “Black Ice,” becoming the third and fourth versions of the accessory, lining up alongside the “Black Steel” and “Ice” variants. While the FuelBand was available in limited retailers in the US and UK, today’s launch sees Nike offer the wristband to consumers in Canada. To order, customers in all three countries can buy a device in an increased number of Nike stores and via the nikestore.com and Apple.com websites. The FuelBand costs $149.95 in the US and £129 in the UK. The Next Web went hands-on with the FuelBand in March, putting the wristband through its paces to see how well the accessory tracked movement and whether Nike’s NikeFuel metric helped users gain more from their workouts. However, since then, Nike has been pushing ahead with development of its mobile apps, adding support for multiple bands and improved rewards for people who beat their personal bests. The app now supports Apple’s new iPhone 5 handset, as well as the iPhone 4S and iPhone 4 and 3rd-generation iPod touch devices (and up). Currently, there isn’t an app available for Android devices.